Will your town be the next Our Town location? 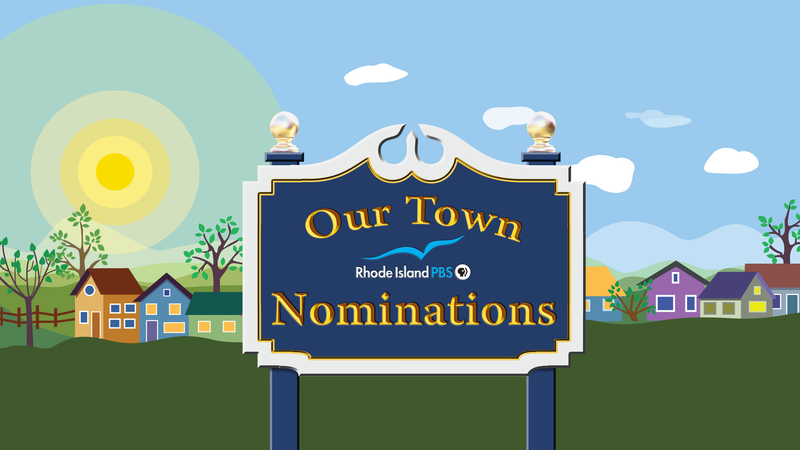 Rhode Island PBS is accepting nominations from January 1 through January 31 for the next site for Our Town. It's a community project with Rhode Island PBS in which neighbors become filmmakers and tell the stories of the charm and character of Rhode Island towns and villages - in particular, untold or uncelebrated stories that capture the essence of life in the town. Building community by enhancing connections and relationships between Rhode Island PBS and town residents, the stories are told by resident storytellers and videographers, who choose the stories they want to tell about their town. The role of Rhode Island PBS is to offer technical advice and then stitch together the stories into a one-hour film. Of its 39 municipalities, Rhode Island has 31 towns - each offering any number of great stories and great people to tell them. The project has visited the towns of Gloucester, North Kingstown, Portsmouth, West Warwick, Westerly, Smithfield and will premiere the Bristol documentary in May. At this time, Rhode Island cities - Central Falls, Cranston, East Providence, Newport, Pawtucket, Providence, Warwick, and Woonsocket - although rich in history and great stories, are not yet eligible. So, what makes a town special? That is decided by the residents and friends of a town. Any individual or organization may nominate a town. Past nominations were made by preservation or historical societies, libraries, chambers of commerce, neighborhood associations - any number of sources can nominate a town. Applications may be submitted online or by mail, but must be received at Rhode Island PBS by Wednesday, January 31, 2018 when the call for nominations closes. There is no cost to participate, and no compensation for winning. The winning town will be announced Thursday, February 15th, 2018. For more information, visit the Our Town project Website or contact project director Jodi Mesolella (401-222-3636, ext. 209), or producer Nicole Muri (401-222-3636, ext. 225), or by email.